Many new Amazon sellers overlook some of the costs of selling on Amazon. It’s not uncommon for new Amazon sellers to get too focused on the profit margins of the products they are selling. 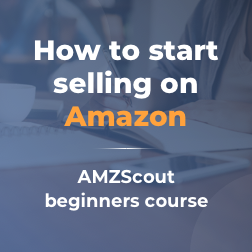 This article will outline some of the hidden costs of selling on Amazon that many sellers don’t include into their calculations. Before you begin to sell on Amazon, it’s important that you put certain financial structures in place. If you’re a US resident, one of the first costs of selling on Amazon should included a US bank account. You need an account that Amazon can deposit your earnings into, as well as to charge their fees from. If you’re a foreigner, the situation is a bit more complicated. I recommend that you read: Being An Amazon Seller On The US Market For Foreigners: The Stuff That Holds You Back When It Shouldn’t to learn more. Next, make sure you have a PayPal account that is linked to your US bank account. This is important because PayPal guarantees their transactions, which protects you when dealing with new suppliers. It’s not that you don’t have a reason to trust new suppliers, it’s more of a safety precaution until you are more established. After working with a supplier for a while, you can always find a different way of paying them. A way that possibly has lower fees. Another couple of major costs you’ll have to factor in is the $40 a month for your professional seller account and Pay Per Click advertising (PPC). PPC can be viewed both as a variable and a fixed cost. It is fixed in a sense that you limit your own PPC budget, but variable because when starting out, you will have to determine how much to invest in your PPC and keep testing and creating new campaigns until you hit your desired sales objectives. Most sellers only discover their true PPC costs of selling on Amazon after they run PPC campaigns for a few months. You’ll need to set aside money in order for your Amazon business to run smoothly. First, you’ll need to set aside the funds for the manufacturing of your first batch of products. For example: if your first batch is 100 units at 10$ a unit (shipping included), you’ll need 1000$. That makes sense, however, you should also have another 1000$ available and ready to purchase your next batch as well. This is due to the fact that it will take at least 2 weeks to receive your sales earnings from Amazon. If you are thinking of using your sales to fund your second batch of products, this could substantially delay your progress. It’s far better to have your funds ready to inject into your second batch without having to wait to collect your earning from the first one. You simply cannot risk having the product go out of stock, otherwise, your organic ranks and BSR could plummet. This is really hard to recover from, especially with new sellers. A lot of Amazon sellers don’t like to consider this as a factor in their Amazon business. It’s easy to believe that you won’t get any returns because you’ve ensured that your products quality is meeting its standard. Which is a very reasonable thing to assume. After all, if people are searching for something (that something being your product) and they get exactly that, why would they return it? Well, sometimes they will. Amazon loves their customers, arguably way more so than their sellers. They have a 30-day return policy that requires no explanation on the part of the customer. Of course, you can expect a return if your product is damaged or of lower quality than advertised. What you wouldn’t expect is for someone to return your product because they simply don’t feel like having it anymore. Customers can return a product simply if they believe they’ve found something better. Some customers may return a product because they didn’t understand what it does even though you made every effort to be as clear as possible. Some of then can’t be bothered to read your bulletins or your product description. It’s a very unfortunate thing and there are ways of mitigating those instances, however, I don’t think there is a way to avoid return altogether. So, what does this cost you? Once you make a sale the customer pays for their purchase and you get the sum after the Amazon fees and the shipping fees have been subtracted. Once the customer asks for a return you have to refund them the entire sum from your own account. On top of that in almost all cases you don’t get your product back in your inventory, it’s gone. Only in cases when the package could not be delivered or some instance where it hasn’t been opened, you get it back. After you have made a full refund of course. On top of that if you get a certain number of returns you risk your listing being taken off Amazon. With a certain rate of returns Amazon’s algorithm marks your product as something that’s failing the customer’s expectation. Of course, Amazon cannot allow that. However, no one gets kicked off Amazon for a high return rate if they have a good product. If you make sure you have a quality product you won’t be facing this issue. The point is you will get returns and you will never grow to like them. Returns are not something that should deter you from selling, they are simply a part of being a seller. The worst they do is slightly mess up your profit margins. Most of us selling on Amazon are hoping to quit their day job and spend only a few hours a day managing an Amazon business. This is definitely an achievable goal and one to very much looking forward too. However, getting to that point is going to be quite time consuming. It’s not easy to come home from work and have to attend you Amazon seller business late into the night when all you want to do is relax. It’s hard work that separates entrepreneurs from the rest. It will be difficult to have a new responsibility that involves important decisions. Being aware of the time you need to invest, and making sure to commit to that time investment is the key to your success. You might alleviate this problem a bit by starting your Amazon business with a partner or partners. Sometimes there might be things that need to be dealt with quickly and having a partner to rely on can be crucial in those moments. A partnership can also be great if you have complementary skill sets and individual talents and proficiencies. The point is that in order to have that free time in the future you have to pay in the time right now. The best part is that it’s worth it. In conclusion, being an Amazon seller is a great and amazing opportunity and we are just witnessing the beginning of it. The important thing to keep in mind is that this isn’t a gold rush scenario, this is just a new 21st century way of running a business. Things that were not accessible to many have now become accessible, new avenues of opportunities have opened up. This doesn’t mean that it’s easy money, it’s still a business and no business is easy money. As the old saying goes “You need to spend money to make money”, of course, this holds true for an Amazon business just like any other. This is easy accessibility and easy scaling which make this the greatest business opportunity of our time. The point is that you need to make smart decisions, be diligent and plan ahead in order to be a successful entrepreneur. Luckily all the tools and all the options are at your disposal, all you need to do is make the best of it. Good luck sellers!